Tomáš Kajánek (CZ) is the current artist in residence at Het Wilde Weten. 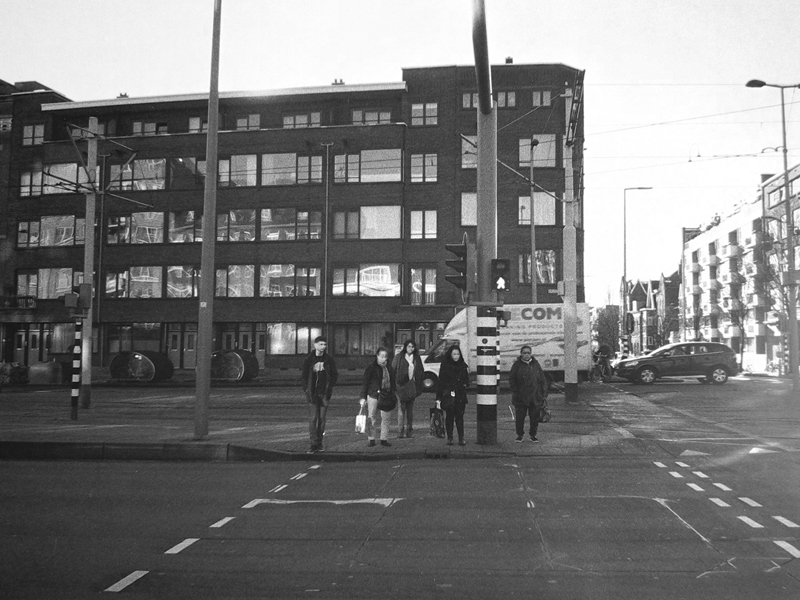 He will present his new photographic project ‚I Don’t See Colour’ which he initiated during his stay in Rotterdam. The Czech Republic, together with Slovakia, Poland and Hungary, form the Visegrad group, recently known for its anti-refugee stance in the current migrant crisis. These countries struggle with inherent racism in their societies, which seems to be very visible in public life. One of the many reasons is the long isolation caused by oppressive communist rule, which resulted in countries that are more culturally homogenic than The Netherlands. In his project ‚I Don’t See Colour’ Kajánek pushes these tendencies to absurdity. He uses the method of retouching to materialize an extreme scenario in his series of photographs of public life in Rotterdam; markets, parks, everyday life out on the streets. How does racism unfold within the Dutch society? How can it be revealed in the context of the city of Rotterdam, with its history of immigrants of different generations? The evening will begin with a discussion on Tomáš’ work and a dinner for max. 20 persons. Dinner is € 5,- (including a drink) and starts at 6 p.m. Please register through residency@hetwildeweten.nl. This residency is a collaboration of Het Wilde Weten with Futura Prague and Tsjechisch Centrum Rotterdam.